An appreciation from Professor Stephany Biello. We are saddened to report the passing of a legend. Paddy died peacefully, at home, after an illness bravely borne, in the presence of his family. Paddy was the beloved husband of Mary and loving father of Ruth. 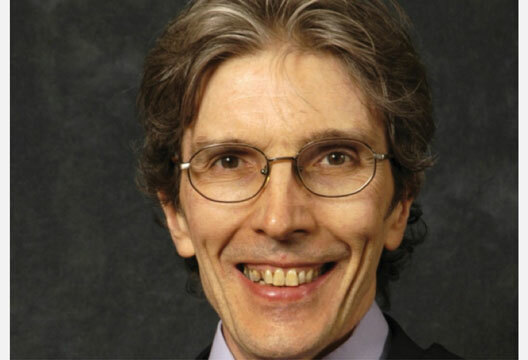 Paddy retired in November 2015 after 46 years as an academic in psychology at the University of Glasgow. Through his personal teaching and scholarship, he provided the highest-quality learning experience for undergraduate and postgraduate students. He taught across all levels of the curriculum and, without interruption, presented the introductory lectures in psychology to Level 1 students for 45 years. The cumulative audience for his lectures stands at over 25,000 students. His lectures have been heard by mothers and fathers, their sons and daughters, and at least one grandchild. Professor O’Donnell’s reputation extended into the media – in the local media, where his teaching popularity attracted the headline ‘Paddy Packs Them In’; in the national press, where he was a regular consultant for his expert views; and in social media, where students created a Facebook page called ‘The Legend that is Paddy O’Donnell’. Professor O’Donnell was highly respected and popular as a teacher. He was also an enthusiastic PhD supervisor, successfully graduating over a dozen students who have taken on academic or professional careers in the discipline. In 2011, for a career distinguished by significant and sustained commitment to excellence, he received a teaching excellence award. Professor O’Donnell was appointed as an assistant lecturer in 1969 and became a lecturer shortly thereafter. He was recognised as a gifted teacher and administrator and was appointed as Dean of Social Sciences in 1983 and was promoted to senior lecturer in 1987. He then took on the role of Head of Department in psychology for 11 years. He continued as Deputy Head of Department and Director of Teaching and, subsequently, Deputy Head of School until his retirement. He was promoted to Professor of Teaching, Learning and Assessment in 2006. Over the years, he served on many faculty and college committees, including college management, he chaired the working party on equal opportunities, and was an elected member of Senate. He was well-known for his perspicacity, sharp wit, and humour. The energy and dedication it took to contribute to the university in this way for such a sustained period cannot be overstated and his contribution, always made with insight and humour, was effective and inclusive. Professor O’Donnell’s research included work on computer interfaces, where he established important industrial links with NCR, IBM and Honeywell. He also maintained an interest in addiction research, therapeutic treatments, and decision making in accounting. Most recently, his career gained an international reputation with more than 15 high-impact publications elucidating the immediate temporal dynamics and neural underpinnings of how we process the written word. Professor O’Donnell’s contribution to the University of Glasgow – academically, administratively, and pedagogically – has been truly immense. Over the decades, his vision and tireless efforts forged the foundation of the national and international recognition and success that psychology at the University of Glasgow enjoys today. In this spirit, and to inspire all of us to rise to his high standards, The school will offer from next academic year an annually funded O’Donnell Learning and Teaching Award to recognise and encourage staff activity in the areas of teaching, learning and assessment. He will be sorely missed.